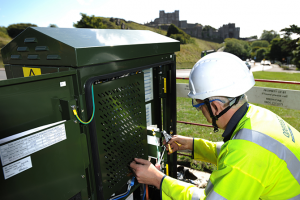 Openreach have advised that they will be removing their Long Reach VDSL technology that they were trialling to provide better data services to rural/hard to reach areas. Their intention was to deliver speeds of up to 10Mbps over existing long copper lines where providing FTTC or FTTP would not be viable. This would be to fulfill their Universal Service Obligation to provide the new minimum speeds people should expect from data services. Unfortunately the speeds did not show the improvements that Openreach were after and the roll-out of the service may have proved difficult with other ISPs; whether this would be a price point, downtime or additional work issue. We can only wait and see what they do next. Chances are high that we will see more FTTC roll-outs in these areas now they have little other choice. Click Here for more information (ISP Review). If you would like to discuss any of the options above – or would like to see what we can offer for your business – feel free to contact us on 01903 256 555 or by email to sales@vadtel.co.uk.